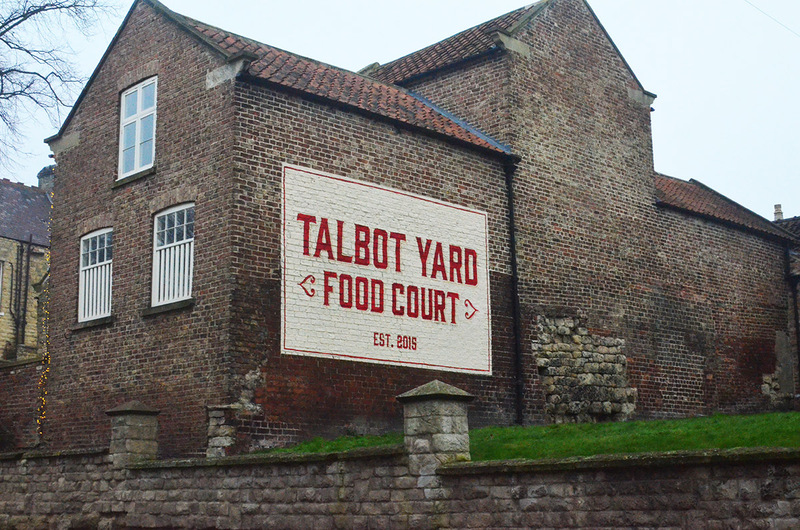 This mural sign was painted on exterior wall, advertising a small shopping area with the idea of bringing more customers in to have a look round at the different businesses that rent shops there. This was a job for an estates company, in Yorkshire. 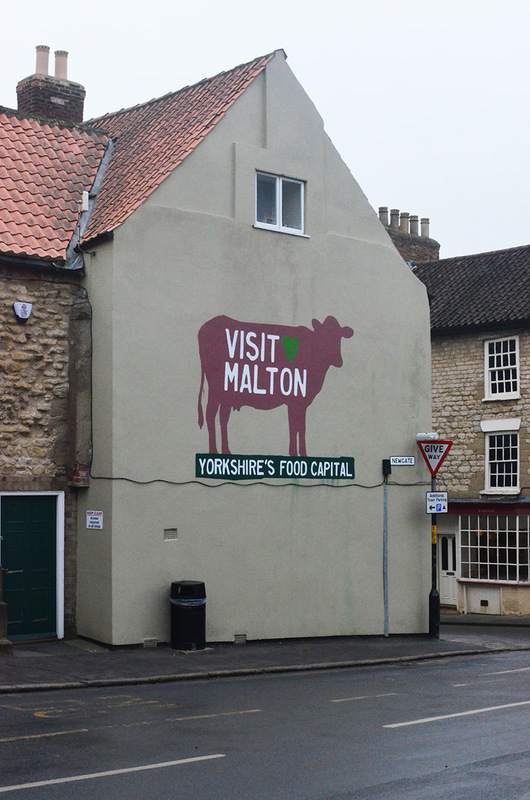 I’ve painted a few exterior mural signs for them in Malton on various buildings around the town. It was very cold and windy, there was even a little bit of snow. 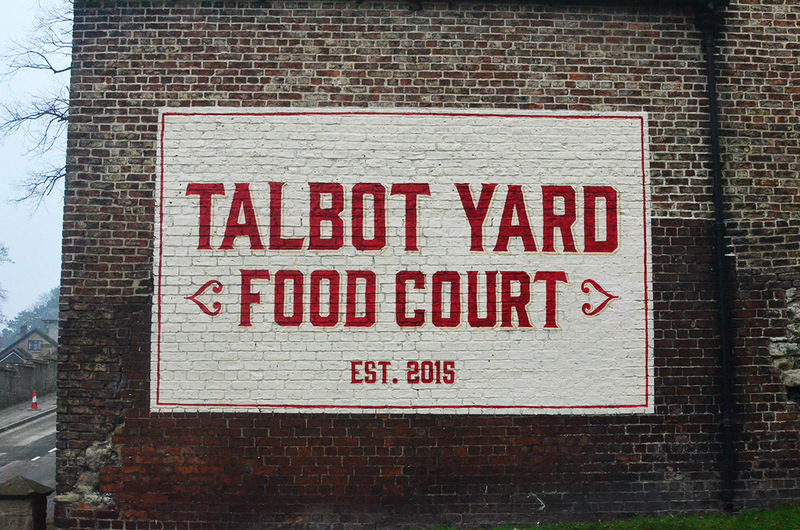 After measuring out the sign I painted the background colour with a few coats, whilst waiting for it to dry I visited the Railway Museum in York, a great place with many many painted signs, I took hundreds of photos. 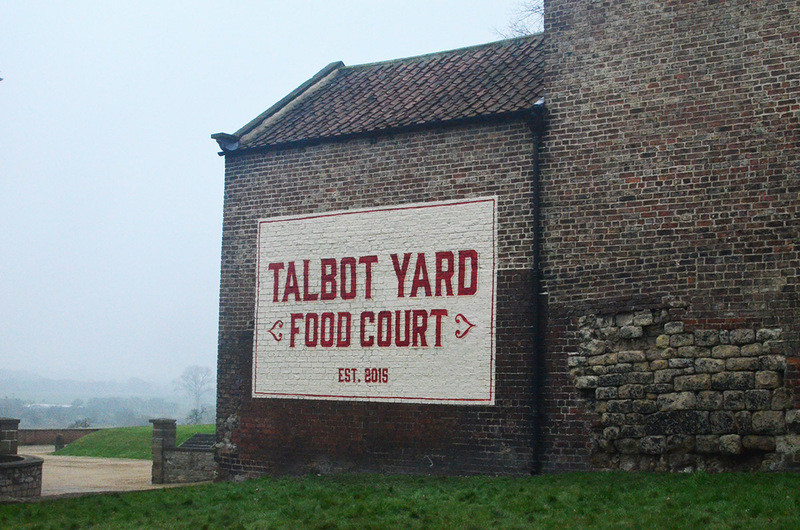 The lettering was then painted on and the job was finished. A mural sign like this is a great way to make use of a blank wall, it could also be painted out again in the future with another sign and/or rented as an advertising space.